As a therapist and a teacher, Sully has been working with clients in the healing arts for over twenty years. After completing her Bachelor of Fine Art and Bachelor of Education, she became a Massage Therapist, a Reiki Master, Cranial Sacral therapist, a mediator for over 40 years and foremost a teacher. Sully has dedicated a large part of her career to contributing her skills as an instructor at educational institutions in her field. 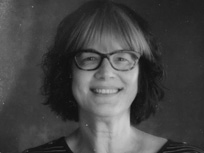 She has taught in the 2-year massage therapy program at Mount Royal University for over 20 years and has developed and implemented programs for diverse student populations of varying ages. Sully is enthusiastic about Ethics within the massage therapy industry and she forwards this passion of hers to all of her students. She is a kind and strong mentor for the massage therapy industry. I have integrated OM techniques within all of my treatments. My clients respond very well and it has created so many referrals within my practice. These fundamentals should really be taught at massage school. I cannot believe I have been practicing so long without OM. Cannot thank you enough.